Rockies manager Walt Weiss would be wise to keep his phone bill to a minimum when looking to fill that fifth spot in the rotation. Franklin Morales is back down to earth after starting the season off so well. Morales has struggled in his last four outings, giving up at least four runs per start and has only thrown at least five innings only once. His next start against the Giants tonight (May 20) could be his last. The upcoming schedule sets up nicely for a possible move to a four-man rotation of Jhoulys Chacin, Jorge De La Rose, Jordan Lyles and Juan Nicasio. After having an off day yesterday (May 19), the Rockies have two more coming soon on May 29 and June 2. These off-days come at crucial times in the rotation, allowing Weiss to consider dropping Morales out of the rotation and moving it to four, until Brett Anderson can return in mid-June. 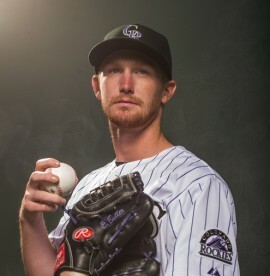 Recent history has proven that it would benefit the Rockies a great deal to leave prospects such as Eddie Butler and Jon Gray down in the minors for as long as they can. Of that list provided, only five of those pitchers are still with the Rockies. Chacin is the one exception to this notion because he has proved to be a solid top-end, rotation guy, logging an ERA of 3.64 and starting 14 or more games in five of his first six seasons. Chatwood and Nicasio have shown flashes of greatness, but remain question marks upon not only durability, but also consistency. Both right-handed hurlers have a career ERA over 4.30 and have made 15 or more starts only three times out of a possible eight seasons. How do these pitchers compare to the dynamic duo that promises to be Butler and Gray? Butler has shown that he is willing to adjust as he progresses through the minors. He started his first season playing rookie ball for the Casper Ghosts, finishing 7-1 with an ERA of 2.13 and 55 strikeouts. Since then, the former first-round pick has seen his strikeout totals go down, but the ERA has plateaued at 2.68 this season in Double-A with the Tulsa Drillers. 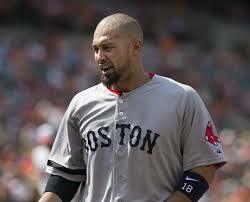 He has left over 78 percent of the baserunners he has put on right where they stand. Sound like anybody you know? This guy has the Chacin makeup written all over him (hopefully minus the 2014 season we are witnessing from the Rockies ace). Gray has me psyched, but cautious at the same time. I’m fully aware of the hype that surrounds the 2013 No. 3 overall pick. 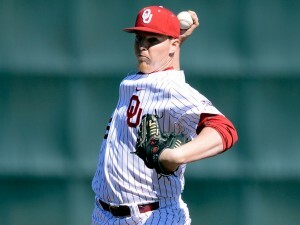 He has been the best player on his team, dating back to his days as an Oklahoma Sooner. I don’t know if there is a player on the current roster that can relate to the skill set that Gray has, as well as how he pitches the game. He has gone on record saying how badly he wants to contribute to the team this season, but that may not be the best option for the Rockies. He got off to a very slow start with the Drillers, going only 6.2 innings in his first two starts. I saw a guy trying to force the issue, wanting to make his big league debut so badly that he didn’t want to focus on improving his game. Since those two audacious starts in early April, Gray has calmed down and dominated the competition, giving up only five earned runs and striking out 32 in his last six starts. 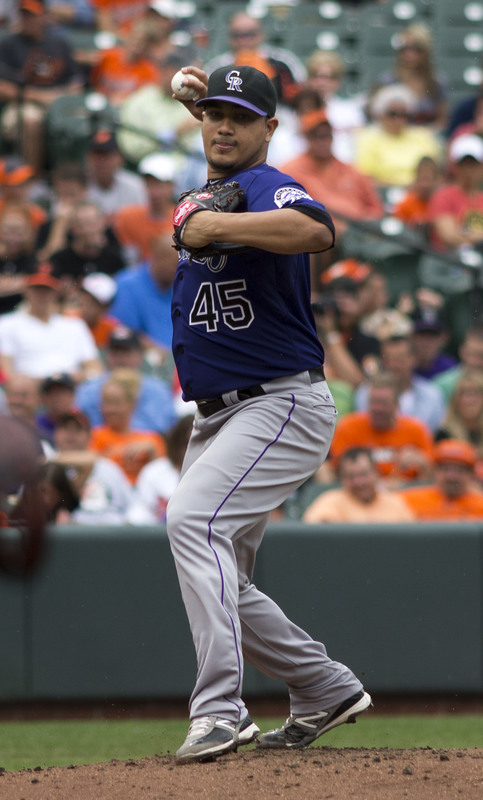 If we get another pitcher like Chacin in Butler and if Gray can remain patient and hope for a chance in 2015, the Rockies may have struck gold. As it pertains to this season, filling out that fifth spot in the rotation will come once Chatwood and Anderson come back from their stints on the DL. Until then, let’s hope Weiss leaves his farm system alone. Another day, another victory over the Giants. Ah, life is good. Below are a few links for you to peruse through during your lunch break. Hope everyone brought their brooms to work today – we’re going for the sweep! Will the real Franklin Morales please stand up? Franklin’s coming out of his turtle shell. Hot bats key to run for October. CarGo doesn’t “kneed” a break to heal injury. One save can make all the difference. Who’s on first? Oh, that’s just Charlie again. A sizzlin’ sensation in center. Mic’d up! Bring mics into game of baseball. A staring contest between a kid and foul ball. I’m still not sure who the winner is. Hoping you all had a safe and enjoyable Easter weekend. If you are already sick of hearing Pitbull rap about the NBA Playoffs (excuse me, PLAYOFFS!) like I am, then I have just the cure: let’s do a mailbag. As always, any inquiries can be sent to cody.j.voga@gmail.com or @Purple_Mondays. With that said, let’s jump right into it. Dylan from Stockton, Calif. writes: Being in the NL West where some of the best pitching staffs in baseball exist (and that being a glaring weakness for the Rockies), do you see Colorado making any significant moves to help them compete? Cody Voga: Great question, Dylan. 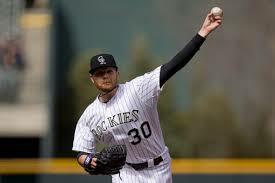 I think the biggest thing holding the Rockies back is not having a bona fide ace. Young, power arms such as Jordan Lyles, Jonathan Gray and Eddie Butler should develop into solid rotation pitchers, but all have a few knocks on their game. Jhoulys Chacin, currently the best arm on the staff, is rehabbing a shoulder injury that he injured early in Spring Training. As for potential moves? I see one that would cost a pretty penny. Chris Sale of the White Sox would be the best option. The hard-throwing, deceptive southpaw is only 25 and has a career ERA of 2.93 in the AL. He has also lowered his WHIP the past three seasons to an astounding .841 which is fourth in the AL and 10th in the MLB. He is stuck in an unfortunate situation as his team is a few years from competing. In order to get him the Rockies would need to unload at least two of their top five prospects. That can include any combination of Gray, Butler or shortstop Rosell Herrera who has shown flashes of brilliance. Ron from Norfolk, Neb. writes: It’s early in the season, but do you think CarGo has a legit shot to be the NL MVP? Cody Voga: Wouldn’t that be nice, Ron? If he can get back to 2010 form, I don’t see any doubt at all. His biggest competition may be his own teammate, Charlie Blackmon. Blackmon has emerged since the Dexter Fowler trade, hitting .426 with 10 RBI already on the season from the leadoff spot. Are you kidding me?! This guy needs some love! Getting back to CarGo, he has had some tough luck as of late. He had multiple hits taken away from him by some outstanding defense from the Padres and Giants on the last six-day road trip. CarGo still owns a .286 batting average, which should improve after a few more games inside the friendly confines of Coors Field. He is coming off of back-to-back seasons in which he won a Gold Glove and was voted an All-Star, so I think the voting is out there. Just waiting for him to break out. Kelsey from Arvada, Colo. writes: When Jonathan Gray gets the call-up, who from the rotation will get bounced? Cody Voga: That is a tough one, Kelsey. Due to the Chacin injury, there have been two spots that have been at stake so far this season. When it is all said and done, I believe the rotation will be Chacin, Anderson, Chatwood, Lyles and Gray. Gray will have to get it figured out as he has struggled mightily in Double-A ball for the Tulsa Drillers. The No. 12 overall prospect according to Baseball America is 1-1 with an ERA of 6.57. He has a devastating slider and can heat it up to 100 miles per hour, but has struggled with his command. Once he gets it all together, the rest of baseball had better watch out. The odd men out would be Franklin Morales, Jorge De La Rosa and Juan Nicasio. Morales would serve as a great long relief pitcher out of the ‘pen, while de la Rosa and Nicasio would most likely be used as trade chips. It’s hard to imagine either of them being bullpen specialties, but it would give the Rockies the best chance to win.